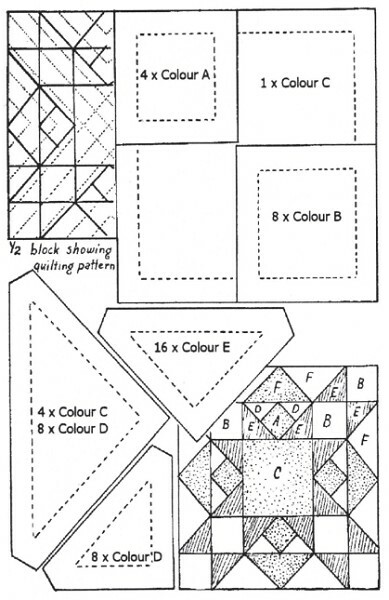 For those who are interested, here is the pattern for the quilt block. The center of the block is red with the diamonds and large triangle going out from the center also red. The four triangles going out to the corners from the center are green and the rest are white.